It Works Greens Review: Ingredients, Side Effects & Is It Worth the Cost? It Works Greens Review – Ingredients, Side Effects and Is It Worth It? It Works have an army of ‘independent distributors’ with a vested interest in promoting their products. This detailed review of It Works Greens supplements and the company itself is not part of that marketing effort. Ahead is a full ingredients list, potential side effects, how it tastes, supplement facts, how to take it, the best and worst in this green powder, price per serving and whether It Works Greens is good value for money. Also covered is company information, product range, business practices, customer complaints and where to buy It Works Greens on the Go or Greens Blend without the extra signup costs, auto shipping or paying to become a distributor. What Is It Works and Greens Blend? Better Value for It Works Greens Chocolate? Is It Works! Global a Pyramid Scheme? With a new and improved formula released in 2016, ‘Greens Blend’ is a powdered fruits, vegetables, herbs and greens product by the It Works company. This whole food supplement is promoted as a way to ‘alkalize your body’, ‘support your immune system’ and ‘restore pH balance’ for better overall health and wellness. It contains many high nutrition superfoods but, as you’ll see ahead, it’s questionable whether most of the ingredients are actually in significant enough amounts to be beneficial. It Works Greens comes in three different flavors in the regular size – Orange, Berry and Chocolate. It is also available in a larger ‘value size’ and in 4 gram single serve packets known as ‘Greens on the Go’ available here. These products are part of a much larger range of supplements, cosmetics and weight loss offerings by the multi level marketing business called It Works! Global, founded by Mark and Cindy Pentecost back in 2001. Mark Pentecost is the CEO and, according to their website, the It Works! Global Headquarters is located at 908 Riverside Drive, Palmetto, Florida, USA. There are also contact phone numbers for customers and distributors and a contact form. The product pages on the company’s site say these green powders have a blend of ’52 herbs and nutrient rich superfoods’. They also highlight matcha green tea and ‘acidity fighting’ potassium and magnesium. Supplement facts state that this product is soy free, dairy free, non-GMO and vegan with no artificial colors, flavors or sweeteners. Though, unlike some other powdered greens, such as Texas Superfood reviewed here, their source produce is not organic. In a separate FAQ, the business explains their products are tested according to USP standards at a certified Good Manufacturing Practice (GMP) facility. Additionally, that they test for contaminants to ensure the purity and quality of their ingredients. They also say there are ’34 fruits and veggies’ in It Works Greens and that will ‘alkalize, balance and detoxify’ while giving your body a boost. Let’s look past the marketing and hype and examine what’s actually in this green superfood powder and whether it is a good choice versus other whole food supplements. Greens Proprietary Blend (1080 mg): Blue-Green Algae (Spirulina), Parsley Leaf, Barley Grass, Spinach Leaf, Chlorella Algae, Alfalfa Extract, Matcha Green Tea Leaf, Watercress, Rosemary Leaf, Plantain Leaf, Dandelion Leaf, Lemongrass, Green Tea Leaf Extract, Dulse. Whole Foods Proprietary Blend (1475 mg): Pea Fiber, Apple Fiber, Eleuthero Root Extract, Fruit and Vegetable Blend (Apple, Carrot, Tomato Juice, Orange Juice, Blueberry, Rosehips, Beet, Amla, Kale, Plum, Ginger, Pineapple Juice, Cauliflower, Broccoli, Grape Juice, Grapefruit Juice, White Willow, Onion, Papaya Juice, Peach, Pear Juice, Brussels Sprouts, Lemon Juice, Raspberry Juice, Strawberry Juice, Pumpkin, Black Currant, Goji), Sunflower Lecithin, Astragalus Root Extract, Turmeric, Meadowsweet Herb, Blackberry Fruit, Acerola, Bilberry Fruit Extract, Cranberry. The new formula Greens Blend ingredients listed above were introduced in 2016. They are definitely an improvement on the old It Works formula which had soy lecithin and the even less healthy soy protein isolate as major ingredients. Were these cheap soy fillers still added to It Works powdered green supplements in 2018 you can be sure my star rating of this review would have been much lower. Some online commentary on this product rightly criticises the old ingredient list but is now out of date and no longer valid. All new Greens Blend you buy should be soy free. Also be aware that there are still sellers out there on eBay and even Amazon trying to sell old formula It Works Greens. These products must be close to or even past expiry date and I definitely wouldn’t recommend buying them, even at a discount. Mineral rich spirulina, barley grass and spinach are all great additions to the Greens Blend. As is energizing matcha green tea and particularly detoxifying chlorella and parsley (It Works say there is nine times more healthy parsley in the new formula versus the old one). Other highly beneficial superfoods in the Whole Foods Proprietary Blend include: eleuthero root (Siberian ginseng), antioxidant rich amla, blueberry and goji, plus anti-inflammatory turmeric, pineapple and papaya. 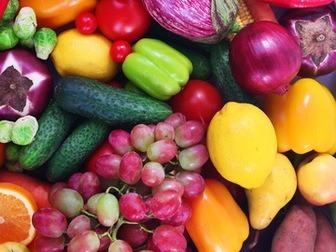 A valid concern with superfood supplements with dozens of ingredients like this is just how much of each fruit, vegetable, green or herb is actually in them? Acerola and bilberry for instance are both potent berries. However, it seems likely, with this many ingredients in It Works Greens, that the amount of them it contains will be far too small to have any specific health benefits. When looking at a list of foods in a proprietary formula, unless they are alphabetical, you can usually assume that the ones at the start are the most prevalent by weight. While the Greens Blend looks to have a good amount of spirulina, parsley and barley grass, the Whole Food Blend has the far less beneficial pea fiber and apple fiber at the start. It’s healthy to get fiber in your regular diet but customers shouldn’t pay top dollar for a large serving of cheap apple or pea fiber. If you really want to take dietary fiber in a supplement then use a specifically designed one, like this far better doctor designed formula on Amazon. I also think that the peach, pear and particularly grape and orange juice are unnecessary low nutrient additions to this supplement. Especially compared to the much better superfoods that follow them later down on the ingredients list and presumably in lower quantities. The Greens Blend Orange product has only two more ingredients than the ones listed in the main ingredient panel. These are natural flavors and the mineral silica. Most customers and reviewers seem to like the taste of Greens Orange the least, but it is also the most pure of the formulas without any sweeteners. It Works Greens Blend Berry flavor has malic acid, citric acid, silica, Rebaudioside A (which comes from stevia) and natural flavors. For taste, this Berry formula appears to be more popular than the Orange flavor with a lot of customer feedback on Amazon saying it taste better. Reviews often mention fruity, tangy and ‘not that bad’, though some mention a gritty texture if you drink it with water. Chocolate flavored Greens Blend has an extra main ingredient in cocoa and additional additives of potassium citrate, natural flavors, sea salt, silica and Rebaudioside A (stevia). While there are currently no reviews for this product on Amazon, it’s likely that this flavor will hide the usual earthy taste of greens more than the other two. Cocoa is listed as the first ingredient on the Whole Foods Proprietary Blend of It Works Greens Chocolate and the total amount of this blend is 3400 mg versus 1475 mg for both Berry and Orange flavors. That’s an almost 2 mg difference per serving and at first I thought It Works were ripping customers off by making the Greens Chocolate primarily cocoa rather than other superfoods. In fact, while it’s not well advertised, the It Works Chocolate Greens Blend is actually sold in a 6.35 ounce (180 gram) tub. That’s compared to the 4.23 ounce (120 gram) tub for Orange and Berry Greens. The serving size is larger too. Despite this, the Greens Blend Chocolate product is still the same price – $55 retail or $33 for Loyal Customer – as Berry and Orange. This is even though it’s a full third larger in weight. This is strange behavior from a supplement company and one I’ve never seen before. It either makes the Chocolate flavor better value, or the Orange and Berry even more expensive, depending on your perspective. It Works Greens Chocolate does seem to have quite a bit of cocoa in it if the packaging needs to fit a full 60 grams extra versus the other formulas. I guess if you are going to choose Chocolate anyway you could see this as a bonus. In a FAQ section, It Works say they use alkalized, unsweetened cocoa powder. Regardless, this much cocoa, with it’s caffeine-like theobromine, would have quite an energizing effect on many customers. Almost certainly more energizing than the matcha tea ingredient and I’d definitely double the company’s warning about not consuming It Works Greens 4 hours before bed if you choose the chocolate flavor. The labels on all versions of It Works Greens have 250 mg of added potassium citrate and 50 mg of dimagnesium malate. These are recognized as fairly absorbable forms of potassium and magnesium, the latter of which many people are deficient in. That said, a good proportion of superfood powder customers, myself included, specifically buy these products because they want to avoid lab-engineered vitamins and minerals. Adding synthetic minerals to what should already be a trace mineral rich formula, with all the greens, vegetables and other ingredients in it, seems unnecessary to me. Other supplement facts on the labeling of It Works Greens Blend list calories as 10 per serving, total carbohydrates as 2 grams and dietary fiber as 1 gram. The 1 gram of dietary fiber per 4 gram serve is actually a bit of a red flag for me as it seems to confirm that the pea fiber and apple fiber are fairly large proportions of the total ingredients. I personally think It Works would have more health benefits to offer with their Greens products if these two were removed and other more antioxidant rich superfoods increased proportionately. The myitworks.com website warns that their green powders are not recommended for pregnant or nursing women. They also say to consult a healthcare professional before using It Works products if you are taking prescription medication for a medical condition. The business states that the ingredients in Greens Blend are gluten-free but not tested to detect gluten from manufacturing, so celiacs be warned. The only other precautions I could find on the site is to avoid using the products 3 to 4 hours before bed due to an energizing effect. I would take much more notice of the ‘energizing effect’ warning if you choose the Chocolate It Works Greens, due to the high amount of cocoa in it. Sensitive individuals may even find this makes them jittery or feel a bit too ‘wired’ at the recommended dose. 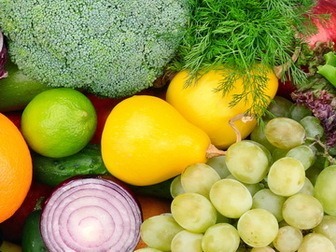 Pea and apple fiber can both cause bloating and excessive gas in some people, as can the cruciferous vegetables like broccoli, cauliflower and brussels sprouts. Though these last three are in much smaller amounts and the pea fiber will be more likely to cause digestive upsets. Some sensitive individuals can experience detoxification side effects with greens like parsley, chlorella, dulse, spirulina and barley grass. If this happens to you it’s best to reduce the dose to a quarter and slowly build up tolerance. People search for It Works Greens on the Go as if it were a different product entirely. But it’s actually just the same Orange or Berry formulas that come in 4 gram single serve packets like this listing on Amazon. These may be convenient for traveling or taking to work for some customers, but personally it just looks like paying an extra $4 ($59 retail versus $55) for more packaging to throw away. At present, on the company site, Greens on the Go is only available in Orange and Berry, not Chocolate. 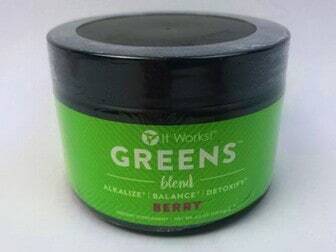 It Works also sell Greens Blend Berry in a much larger 13.5 ounce (382.5 gram) ‘Value’ size. At $139 retail versus $55 for over three times as much actual green powder, it is indeed a much better deal for saving money and would bring down the cost per serving significantly if you take It Works Greens regularly. Reviewed here only for completeness, since it’s also included in the range, It Works Greens Chew is little more than a candy masquerading as a supplement in my opinion. With fattening and unhealthy cane syrup, rice syrup and maltodextrin as three main ingredients, along with polydextrose and inulin which can cause digestive bloating, this is not a product I’d recommend for children or anyone in fact. Half a star rating only for the relatively small 500 mg of fruit and vegetable blend and 2 mg pterostilbene per serve. At $50 for 60 sugar filled chews, this looks extremely overpriced as well. Personally, I think adding Chew to the It Works range of products is quite a negative mark against the company’s reputation as a health supplement manufacturer. The suggested dosage of It Works Greens Blend is two scoops or one packet of the Greens on the Go a day mixed with water or juice. It doesn’t say this on the label, but green powders like this are best taken before a meal with healthy fats like olive oil or even healthier avocado oil. This is because many of the nutrients are fat-soluble and will be more readily absorbed with dietary fatty acids. Divided doses are also more beneficial and, while It Works tastes relatively good for a green drink, it will be much easier to enjoy regularly mixed into a smoothie or shake. All three flavors of Greens are available on the myitworks site for $55 retail price. Also at $33 for the Loyal Customer option, though be aware of the sign-up costs or automatic monthly shipping you may be signing up for. A better option if you’d just like to try It Works Greens is this Amazon listing which has a label showing the new improved formula and customer reviews. Even better still, go instead with the nutritionally superior Patriot Power Greens reviewed in detail here. There’s even a free trial of 7 full serving sample packs for people in the USA. At the time of writing, some other Amazon sellers and particularly eBay pages seem to be trying to sell off the old formula Greens with soy and an inferior ingredients list. There are many complaints and negative customer reviews there for these products being close to expiry or even out of date. I’d check carefully that you only buy new formula It Works Greens if you are considering this supplement. With a retail price of $55 per 4.23 ounce/120 gram jar, and with 30 servings of just 4 grams for the Berry and Orange It Works, this is an expensive greens powder by any comparison. Cost per dosage is $1.83 and 4 grams really isn’t that much for the price. Greens on the Go calculates out at an even higher price point per serve of $1.96. Only Grown American Superfood is similarly overpriced amongst powdered supplements I’ve reviewed. The larger Greens Blend Value size in Berry is much better bang for your buck. With 382.5 grams there are 95 servings of 4 gram for a cost per dosage of $1.46. If you really want to buy It Works Greens and take it regularly this is the most cost-effective option. It may even be worth paying the membership fee for an ongoing discounted price of $79. Be careful with the It Works buying process though. This is a secondary option when making a purchase so watch out you don’t sign up for automatic ongoing shipping unless you are sure this is what you want. It Works! Global is a multi level marketing company founded by Cindy and Mark Pentecost back in 2001. There are now thousands of ‘independent distributors’ around the globe who push their products to friends and other contacts via social media and other direct marketing methods. This MLM business model is obviously very profitable as the company reportedly made $538 million in revenue in 2014. They also have huge headquarters in Palmetto, Florida with thousands of employees. Earnings for It Works! Global in more recent years are difficult to come across but they remain one of the top multi level marketing companies in America according to industry publications. While this review is for the Greens Blend powder, this massive business has dozens of products like Advanced Formula Fat Fighter, cosmetics, keto works supplements, probiotics, multivitamins and their signature It Works Body Wraps. This controversial offering is comprised of three products – the Ultimate Body Applicator, Fab Wrap and Defining Gel. The directions are to apply the Ultimate Body Applicator to different parts of your body and then wrap the area with the Fab Wrap for 45 minutes. Users are advised to do this repeatedly, and use the Defining Gel, to encourage weight loss. However doctors have stated online that, while the process may induce temporary skin tightening and water loss, it is unlikely to work for long-term body fat reduction. There are no convincing studies presented by It Works that their body wraps are effective. Though this WebM.D. article explains body wraps in general can cause some temporary water loss and may give the initial appearance of body slimming. One larger concern about the business is whether its ‘independent marketers’ also known as ‘Wrapreneurs’ are actually making much money themselves, or just increasing the company’s profits. There is a $99 start up fee to join It Works as a distributor and independent research I’ve seen generally concludes that most people earn little from their involvement with it. Even the company’s own 2016 Income Disclosure Statement seems to show little financial benefit for the vast majority of Wrapreneurs. From my interpretation of this statement, 78.73% of active distributors made on average $51 a month before expenses. Not exactly enough to quit your job over. Though the top 1% ‘upline’ do seem to be doing very well. Additionally, some business analysis I’ve read suggested that this MLM company largely profits from its distributors as the major source of its revenue rather than customer retail sales. In fact, many commentators outright say that they think It Works is a scam. It’s issues like this for distributors, focus on marketing rather than proven effectiveness and the high price of their products that are likely behind many of the complaints you can find about It Works online. Better Business Bureau has 398 customer complaints about It Works! Global at the time of writing, with many people saying they think their products are rip off and calling It Works a scam. That said, overall the company has a BBB rating of C+ as of August 2018, with 128 positive reviews and 69 negative reviews. Some of the positive reviews may seem, to the casual observer, a little too positive to not have been written by someone with a vested interest in the company’s reputation. To their credit, It Works have been in business for 17 years at the time of writing this review. It’s understandable that any health product company around that long would be expected to have their share of complaints from customers expecting better results. Particularly bad customer service though, in my opinion, is the number of buyer complaints online about the difficulty in receiving a refund or even in canceling the three months of ‘auto shipping’ many customers don’t realize they signed up for. If you do want to try It Works Greens or another one of their products, I’d highly recommend trialing it first. You can find It Works Greens on Amazon here and also on eBay and other large online retailers. Admittedly at first glance they seem cheaper at myitworks.com but you have to become a Loyal Customer and pay a sign-up fee on their website for the lower price. Alternatively sign up for ongoing automatic shipping charged to your credit card or actually become a distributor yourself. I’d look past the flashy marketing and read a lot more about real people’s actual results with multi level marketing companies before signing up as a It Works distributor. There’s a good reason why these kinds of businesses are known as ‘pyramid schemes’. Nothing in this review of It Works, either the company or their products, should be considered medical advice or personal criticism of any individuals. Statements about the business and the effectiveness of the supplement It Works Greens are just my personal perspective based on my research. While I have expressed an opinion about multilevel marketing companies in general and relayed customer complaints about It Works business practices that I have found online, I’m happy to listen to different perspectives in the comments below. That said, this review if It Works Greens will not be a forum for distributor marketing. I’d ask that any defense of these products explain clearly why they deserve the high cost per serving versus their many competitors, like Texas Superfood or Gundry MD Vital Reds. Also why new customers should be locked into a 3 monthly automatic shipping process or pay a membership fee just to get these green supplement powders at a reasonable price. Overall, it’s my opinion, after many hours of research into It Works Greens, that the Berry and Orange options at least are relatively healthy products. However, they are very overpriced for the amount of superfoods you actually get per serving in the small 120 gram containers. I suspect this is largely due to the MLM business model that requires an extra amount on top of the end price to be paid to the independent distributors from the customer’s pocket. That and the many complaints about sign-up costs to become an It Works Distributor or Loyal Customer, automatic monthly shipments that are difficult to stop and problems getting a refund all make It Works Greens look like a much less attractive option overall. Will taking It Works Greens Blend work for you? Possibly, particularly if you currently have a relatively unhealthy diet and this is your first time taking an antioxidant rich green powder like this. For people who regularly eat fruits and vegetables though, the health benefits of It Works Greens are unlikely to match the high cost of the supplement. There are also far better superfood formulas out there at a much lower price, like this newly discounted Patriot Power Greens I’ve reviewed here. 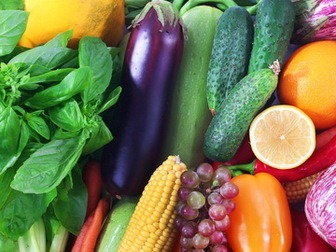 Lots of healthy fruits and veggies but likely in small amounts. Mineral rich greens and detoxifying herbs in the Greens Blend. Non-GMO, soy free, dairy free and vegan though not organic. Very expensive at $1.83 per small 4g servings over 30 days or $1.96 for Greens on the Go. Cheap pea and apple fiber as major ingredients making less room for better superfoods. MLM company with membership costs, ongoing automatic delivery and many complaints online.